More than ever before, now is a time when the world needs effective global leaders to collaborate with counterparts across the globe and avert transnational challenges together. Taking stock of the rich diversity of our work, here is a look at a typical recent week at Meridian. 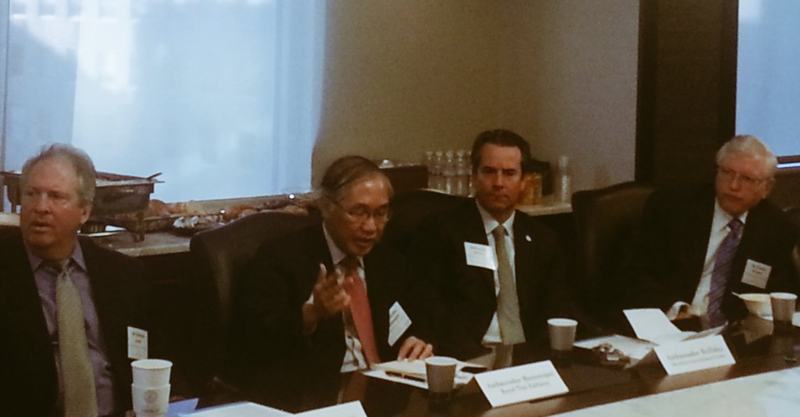 On Tuesday, Meridian held a Global Business@Meridian Downtown breakfast co-hosted by Booz Allen Hamilton and featuring His Excellency Pisan Manawapat, Ambassador of Thailand to the United States. 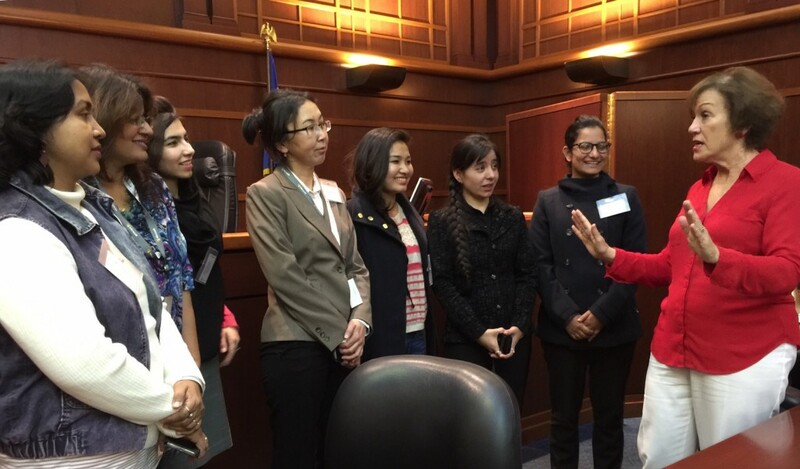 The program drew 25 corporate leaders together to engage in an off-the-record dialogue on the business climate and relevant opportunities for foreign direct investment and social engagement in Thailand. On Wednesday, Meridian hosted a nuclear security roundtable with the Foreign Policy Institute at John Hopkins School for Advanced International Studies (SAIS). This series of discussions is meant to create a forum for diplomats from around the world – from Gabon to Kazakhstan – on the desired outcomes of nuclear security in advance of the Nuclear Security Summit, which will take place in Washington, D.C. on March 30th and April 1st. The program also included the Director for Nuclear Threat Reduction at the National Security Council, Scott Roecker. 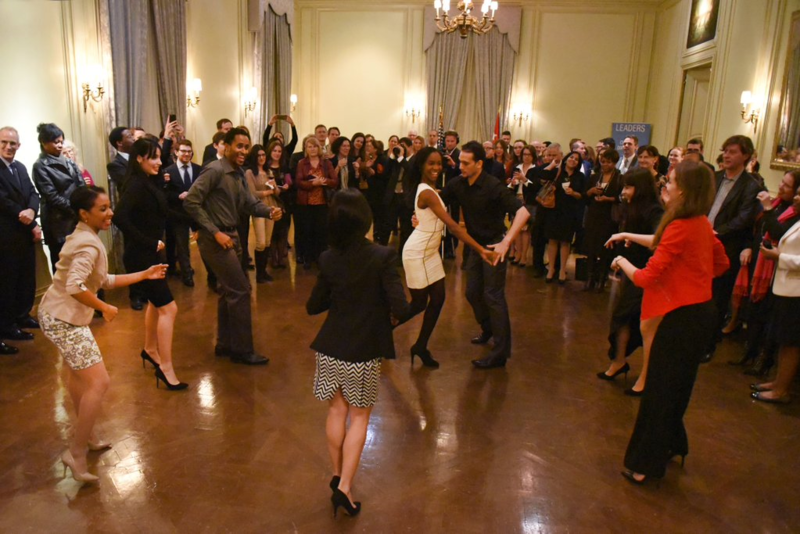 That evening, Lizt Alfonso Dance Cuba kicked off Meridian’s US- Cuba cultural diplomacy programming. In partnership with Akin Gump Strauss Hauer & Feld LLP, the reception welcomed His Excellency José Ramón Cabañas, Ambassador of Cuba to the United States, Senator Patrick Leahy (D-Vermont), Representative Emmer (R-Minnesota), Deputy Secretary of the Department of Homeland Security Alejandro Mayorkas – the highest ranking Cuban American in the Administration – among many other distinguished guests. The disciplined technique of the dancers spoke of the right history of Cuba while their youthful exuberance spoke to the promise of the future. On Thursday, Meridian hosted a salon-style dinner for Eastern European leaders, including His Excellency Peter Kmec, Ambassador of the Slovak Republic to the United States. Combining public and private sector leaders from the U.S. and Europe, the dinner focused on how we can work together to enhance our trade and technology capabilities. To close the week, I had the honor of welcoming UN appointed Deputy Prime Minister of Libya Moussa al-Koni to Meridian to discuss ways the U.S. might support the political transition, capacity building, and the rebuilding of the energy sector. 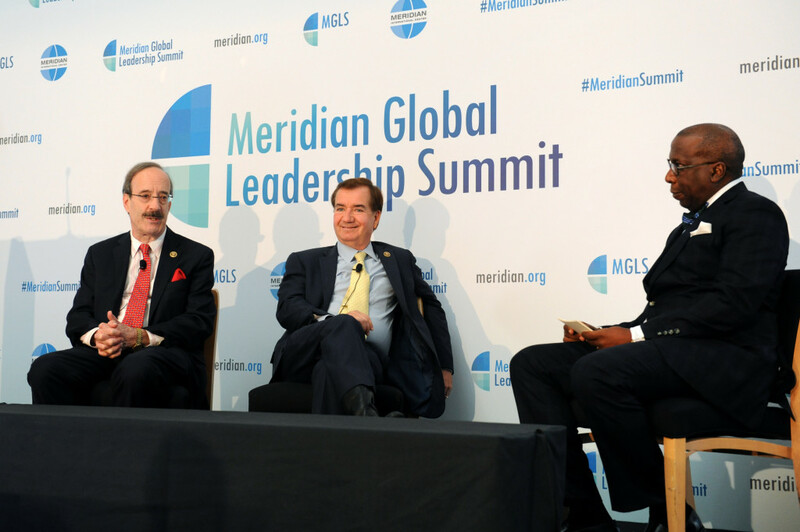 Congressman Eliot Engel (D-NY) and Congressman Ed Royce (R-CA), Ranking Member and Chair of the House Foreign Affairs Committee address why foreign policy matters in citizens’ everyday lives at the 2015 Meridian Global Leadership Summit, moderated by Alonzo Fulgham. This year reminded us that connected global leaders can accomplish amazing things, that the exchange of ideas is exhilarating, and that together we are capable of creating a more secure and prosperous world. Thank you all for a wonderful year. POST TAGS: Cultural Diplomacy, Global Leadership, Meridian Impact, Professional Exchange, Public Diplomacy.